​Swansea City academy graduate Connor Roberts has claimed there is 'more to come' from him after signing a new contract with the club that will keep him at the Liberty Stadium until June 2022. Roberts, who enjoyed a fruitful loan spell at Yeovil Town in 2015/16 before two much less successful spells with Bristol Rovers and Middlesbrough in the ​Championship, broke into the first team in January and hasn't looked back since. He is now a staple for the Swans at right-back, and has figured heavily in Ryan Giggs' Wales side. Speaking to the club's ​official website following his new deal, the 23-year-old proclaimed: “I’m over the moon to get it done. Now I can concentrate on playing and improving as an individual and as a team. “Even though I’ve signed this contract there is more to come from me. “It didn’t really happen for me at Bristol Rovers and Middlesbrough. I didn’t get much of a chance to play. But I came back and it’s been a remarkable turnaround playing for ​Swansea and Wales." Footballers are often known for being disloyal, but that's not always the case as players like Totti and Griezmann have shown. Despite his spectacular rise, Roberts is not getting complacent: “People can say I have made it, but when I speak to my family and partner I say it’s just the beginning hopefully. 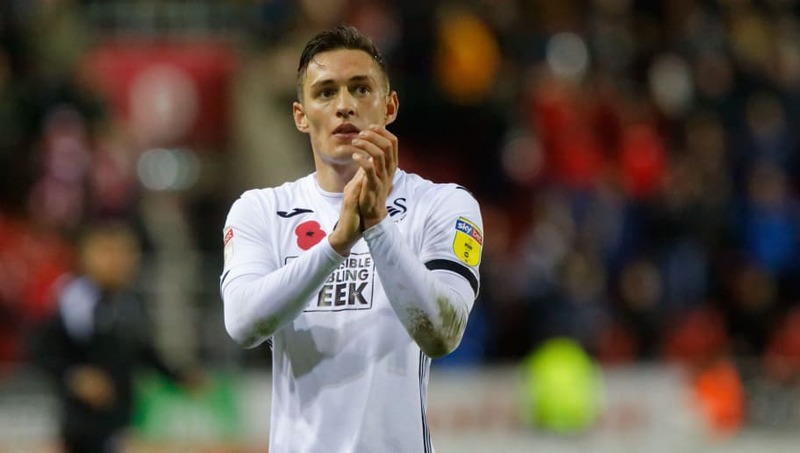 The defender also admitted his pride at making it at his hometown club, as well as outlining his ambitions for the club in the future: “Everyone wants to play at the top level, so to do that again with Swansea – as a local boy – would be brilliant. "The next few years give me a chance to stay in the team, continue improving as a player and hopefully, the end goal is to be back in the ​Premier League by the time my contract is up."